Is your book club looking for their next great read? When Kelly Madigan is offered a job abroad right after reading a letter from her late mother urging her to take more risks, she sees it as a sign. Kelly’s new ghostwriting assignment means moving to London to work for Natasha Spencer—movie star, lifestyle guru, and wife of a promising English politician. As it turns out, Natasha is also selfish, mercurial, and unwilling to let any actual food past her perfect lips. Still, in between testing dozens of kale burgers and developing the perfect chocolate mousse, Kelly is having adventures. Some are glamorous; others, like her attraction to her boss’s neglected husband, are veering out of control. Kelly knows there’s no foolproof recipe for a happy life. But how will she know if she’s gone too far in reaching for what she wants? 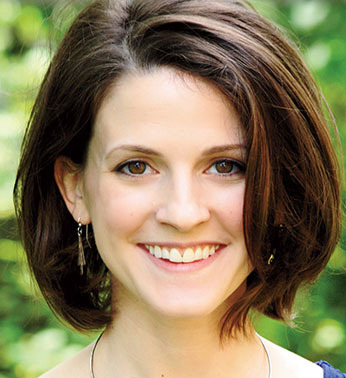 Dana Bate is the author of A Second Bite at the Apple and The Girls’ Guide to Love and Supper Clubs, which earned a starred review from Publishers Weekly and has been translated into five languages. Before writing fiction full time, she was a Washington, D.C. producer and reporter for PBS’s Nightly Business Report, where she won the Gerald Loeb Award for a series she produced on the Indian economy. She studied molecular biophysics and biochemistry at Yale University and received her master’s degree from Northwestern’s Medill School of Journalism, where she won the Harrington Award for outstanding promise in the field of journalism. She lives outside Philadelphia with her family. The Mystery You Can’t Miss. For Detective Jimmy Vega and his girlfriend Adele Figueroa, it’s a perfect October evening. A rare chance for him to set aside his duties as a homicide detective, and her to stop worrying about the immigrants she serves through the community center she founded, in order to focus on each other for a change. Suzanne Chazin’s work has appeared in American Health, Family Circle, Ladies Home Journal, People, and The New York Times. She has twice been the recipient of the Washington Irving Book award for fiction. Her short fiction appeared in the anthology, Bronx Noir, which won the 2008 Book of the Year Award for special fiction from the New Atlantic Independent Booksellers Association. She lives in Chappaqua, NY. Visit her at suzannechazin.com. 1. At the beginning of the book, Jimmy Vega and Adele Figueroa have significant issues in their relationship that appear to prevent them from going forward as a couple. What are those issues? How does each character deal with them? 2. Does Vega have a double standard when it comes to his work versus Adele’s? How do you feel about the choices each character makes in regard to their careers, their relationship to each other and their roles as parents? 3. In what ways do you think Vega and Adele change over the course of the book? 4. One of the themes in the book is the exploitation of undocumented women and children. Do you believe our current immigration laws encourage such exploitation? Or do you feel the situation would be the same no matter what the laws were? 5. Do you feel the author is fair in her depiction of both Latinos and non-Latinos in the book? Why or why not? 6. Many of the characters in the book must make uncomfortable choices, sometimes choosing between justice or safety in such matters as furthering an education, taking care of a child or earning a living. Can you discuss some of these choices? How do you feel about them? Would you make the same choices in their situation? Why or why not? 7. Luna is very attached to her dead mother’s begonias and is heartbroken when the pot shatters. Do you see any parallels between the begonias and Luna’s family’s existence? 8. Esme is victimized as a child and goes on to victimize others. Yet Adele and Claudia’s daughter Inés were also victimized as children and do not. What factors do you think go into turning a victim into an abuser? 9. Do you think Luna and her family are permanently scarred by her father’s near-deportation ordeal? Or do you believe they can recover? What about real families facing separation through deportation? Do you believe they suffer permanent damage? 10. Did this book change the way you feel about undocumented immigrants or our nation’s current laws regarding undocumented immigration? Do you feel the author presented an honest picture of how these laws can affect people?